Most communities require that you register your pets. 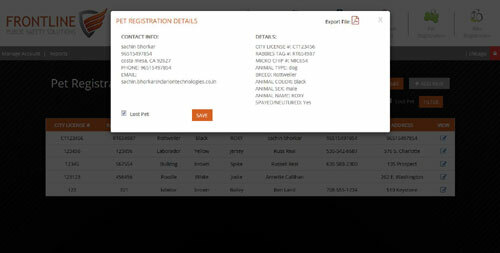 FRONTLINE’s Pet Registration module is a secure online database that allows users to create entries of registered pets. This is an ideal way to store all the required information provided by the owner in one place that is accessible from anywhere. No more stand-alone spreadsheets. No more using additional resources to get information when needed. With this module, you can enter and retrieve information with a simple click of a button. 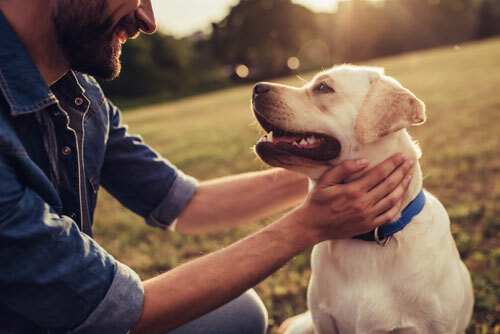 The Pet Data Management Dashboard provides you with an overview listing of all pets registered with the department. 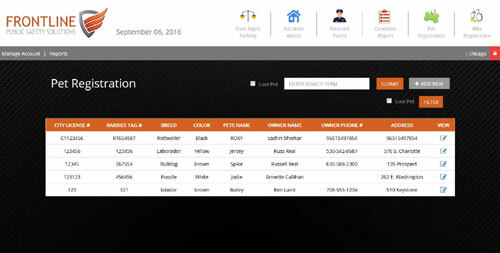 The listing provides basic information such as License #, Rabies Tag #, Breed, Color, Pet Name, Owner Name, Owner Phone and Address. A simple search feature allows you to narrow the results to find the pet you are looking for. Ideal for a quick look up of a found pet. Once you have located the pet from the database, you can click on the “View Details” icon to find out further information. More details about the pet and their owners appear in a pop up page. Contact information including Phone, Address and Email are detailed all without using any additional resource or time. Returning a pet to its home safely has never been easier. 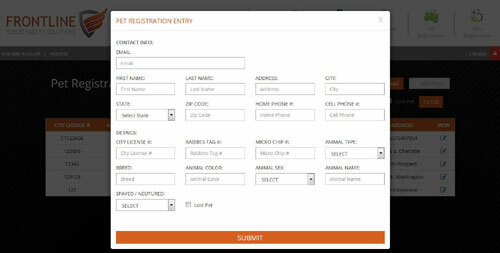 The Add a New Pet Data Management Entry gives users the ability to enter a new pet at anytime from anywhere. Most communities require that pets be registered and on file. The “Add New” button is a simple way to get the details into the system. The form is simple and easy to follow to get the proper information from the pet owner. The more information that can be stored, the more valuable it becomes later if you need to access the details on a pet. With a simple check of a box, you can flag a pet as "Lost". Lost pets can be filtered in search to generate a list of pets that have been reported lost by their owners. Just as easy…a pet that has been reported found can be updated by unchecking the box. We all love our pets. The public portal gives residents a place to manage there pets and add to a database.